If you’ve ever gotten separated from your child for just a few moments and remember the depth of panic that sets in, then you can begin to understand what Noreen Gosch has felt over the last 33 years since her son Johnny disappeared delivering newspapers in West Des Moines, Iowa on the morning of September 5, 1982. More than any other missing child case, Johnny’s story has spawned countless theories and has instilled intrigue in the millions who remember the kid on the side of a milk carton. 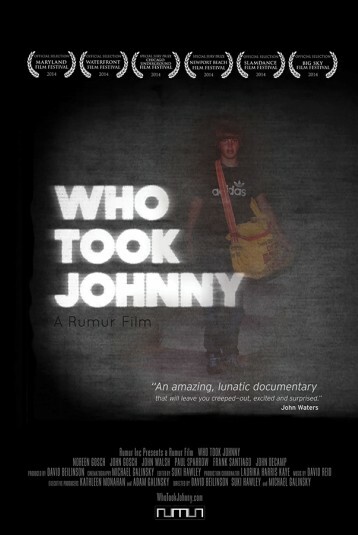 WHO TOOK JOHNNY is an examination into the infamous thirty-year-old cold case behind the disappearance of Iowa paperboy Johnny Gosch, the first missing child to appear on a milk carton. The film focuses on the heartbreaking story of Johnny’s mother, Noreen Gosch, and her relentless quest to find the truth about what happened that tragic September morning in Des Moines when Johnny never returned from his paper route. Along the way there have been mysterious sightings, strange clues, bizarre revelations, and a confrontation with a person who claims to have helped abduct Johnny. WHO TOOK JOHNNY captures the endless intrigue surrounding the eye-witness accounts, compelling evidence and emotional discoveries which span three decades of the most spellbinding missing person’s case in U.S. history.